PARIS — SpaceX founder Elon Musk, returning to a subject he has addressed before, on Jan. 13 said delays in the U.S. Air Force certification of the SpaceX Falcon 9 rocket are the result of Air Force personnel dragging their feet so as not to offend United Launch Alliance, which now has a monopoly on military satellite launches. In an audio interview with Bloomberg Businessweek, Musk also said he is creating a satellite design plant in Seattle that will employ about 60 people at the outset before growing to several hundred. The idea, he said, is to shake up the satellite production industry in the same way that SpaceX has shaken the launcher sector. Musk portrayed his Hawthorne, California-based company as a small fighting force going up against Denver, Colorado-based ULA and the combined lobbying might of ULA’s shareholders, Boeing and Lockheed Martin. SpaceX in April filed a lawsuit challenging the Air Force’s award last year of a sole-source contract to ULA for up to 36 launch vehicle cores. The judge presiding over the case recently ordered the parties to try and resolve the dispute through mediation. 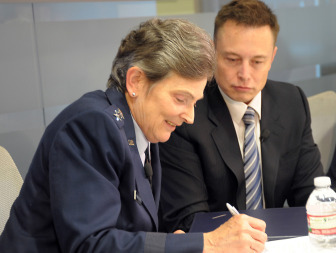 “The people fighting it [Falcon 9 certification to bid for military launches] are really in the bureaucracy of the Pentagon, and the procurement officers, who then go and work at Boeing and Lockheed Martin, the prime contractors – which has actually happened,” Musk said. The Air Force recently announced that its elaborate new-entrant rocket-certification process for the Falcon 9 likely will take until the middle of this year. Air Force officials had hoped to complete the process by the end of December, which would have made SpaceX eligible to win what was supposed to be a competitive contract to launch a U.S. spy satellite. NASA is managing its own Falcon 9 certification process and also expects to have its work done by midyear – in time to launch a U.S.-European ocean-altimetry satellite. 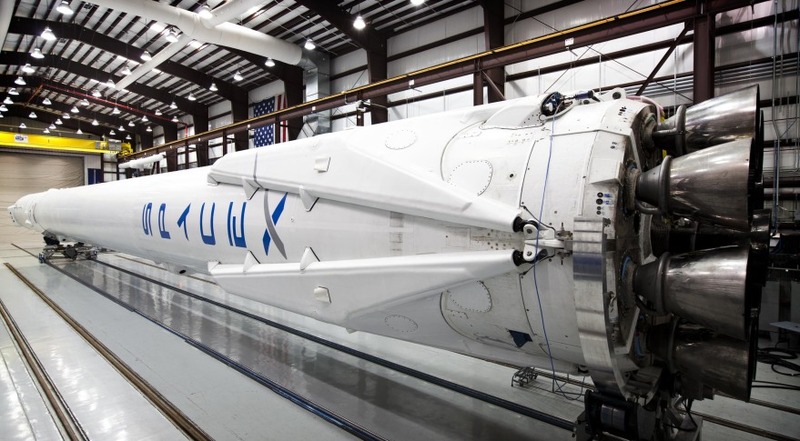 SpaceX’s Falcon 9 is used to launch cargo to the international space station on a commercial basis but has not been certified to carry high-value NASA satellites. While NASA and the Air Force are coordinating their certification processes, these efforts are independent. In any event, Musk did not mention NASA’s certification process in his interview. Musk conceded that at SpaceX, which has grown to slightly more than 4,000 employees, about one-third of the workforce comes from established aerospace companies including Boeing and Lockheed Martin.